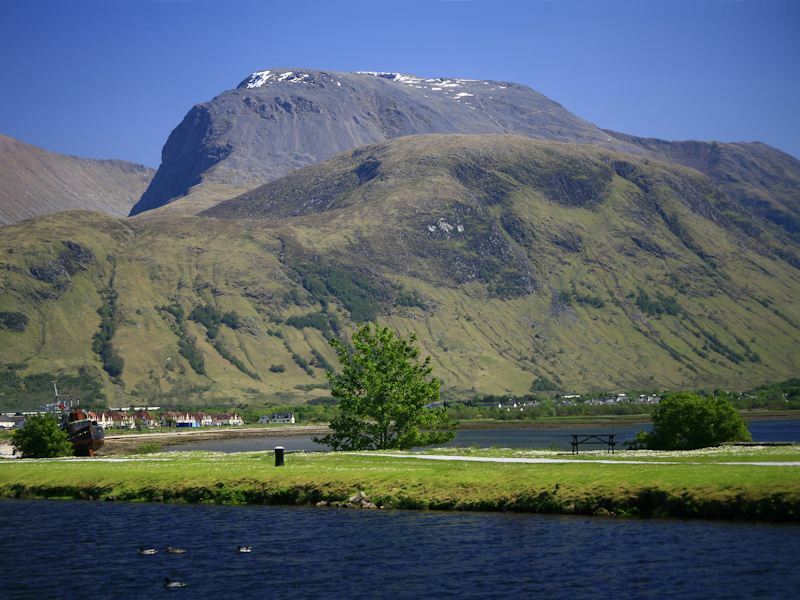 In and around Fort William, you get spectacular views of Ben Nevis. 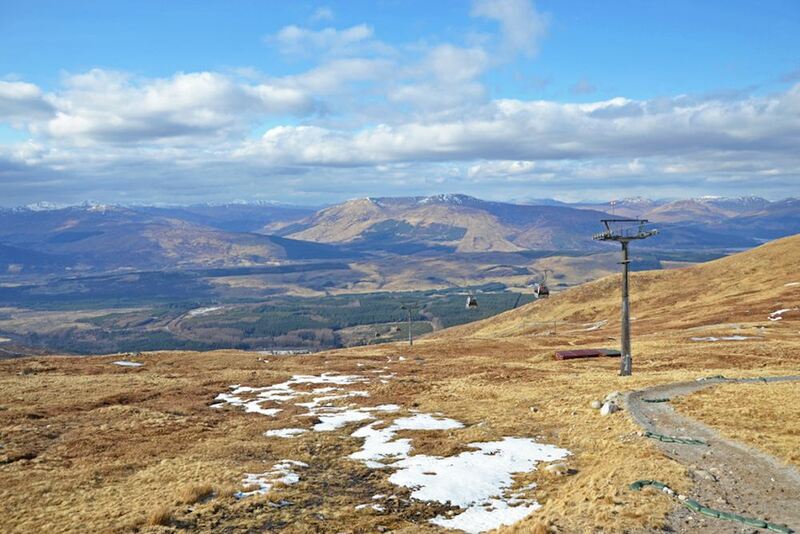 The gondola at the Nevis Range is open all year (except for mid November - mid December) and from the top there are wonderful views of the town, Loch Linnhe and Loch Eil. The area is used for skiing and snowboarding in the winter. 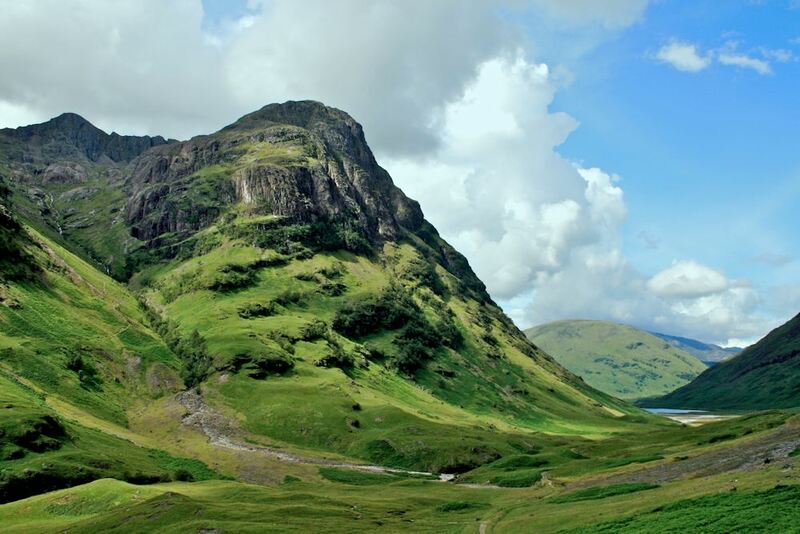 Nearby Glen Nevis (where the film Braveheart was made) is a popular walking and climbing area. 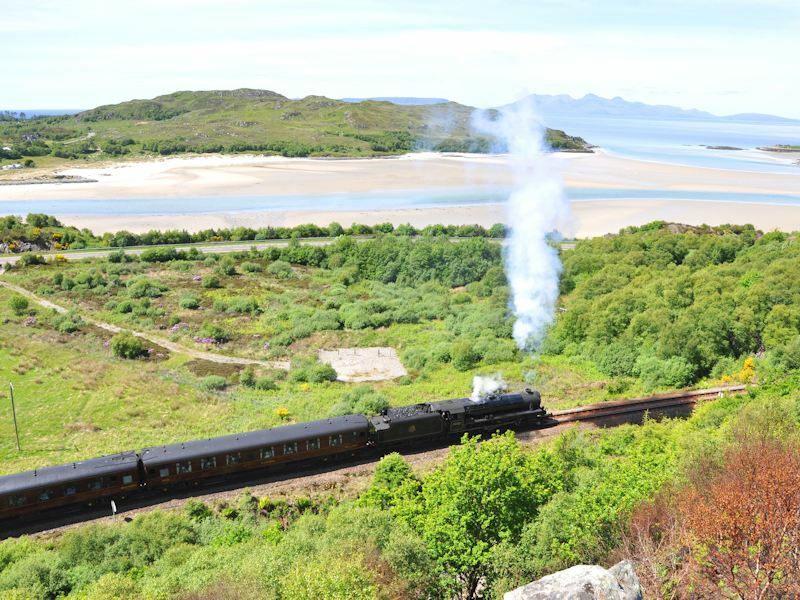 For a pleasant outing take the scenic Road to the Isles to Mallaig (45 miles) where the ferry departs for Skye. 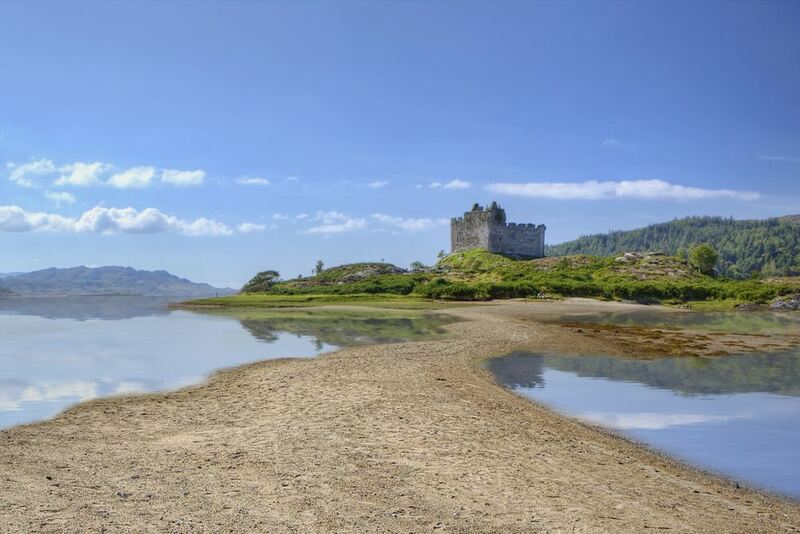 Along the way you can enjoy beaches such as the Silver Sands at Morar or take a cruise to the Small Isles. 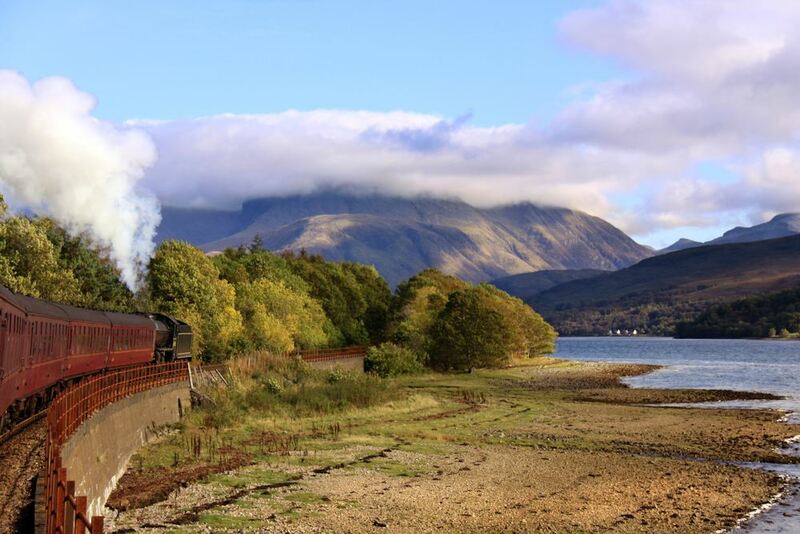 Day trips on a steam train are available from Fort William to Mallaig during the summer months. 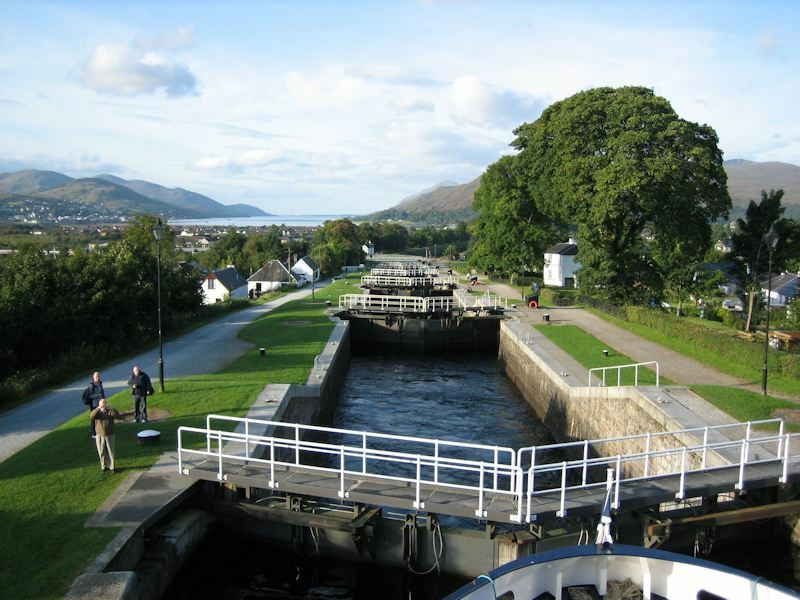 4 miles from Fort William, at Corpach is Neptune's Staircase - a series of lock gates on the Caledonian Canal. It enables boats passing through the canal to be raised or lowered the 30 metre difference between Loch Linnhe and Loch Lochy. The canal cuts across the Highlands to the east coast. 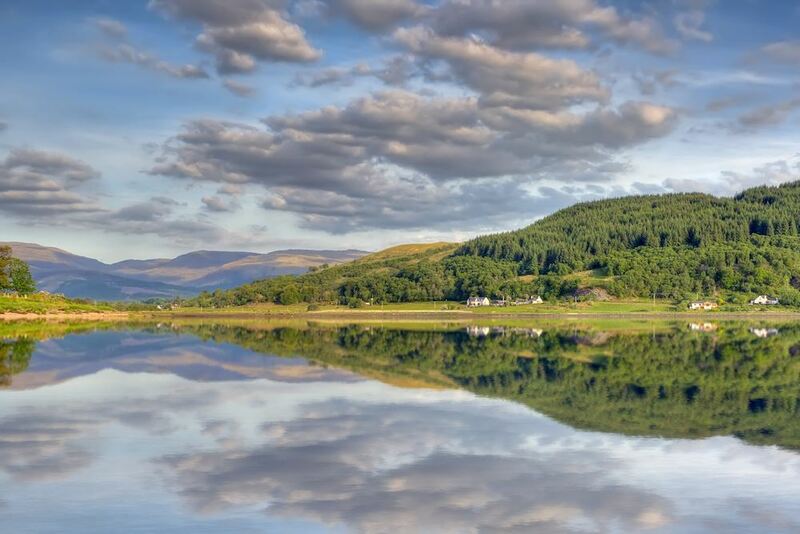 Also at Corpach is the Treasures of the Earth, Europe's finest private collection of crystals, gemstones and fossils. Overlooking Spean Bridge is the famous Commando Memorial, a tribute to those who trained here and served in WW2. 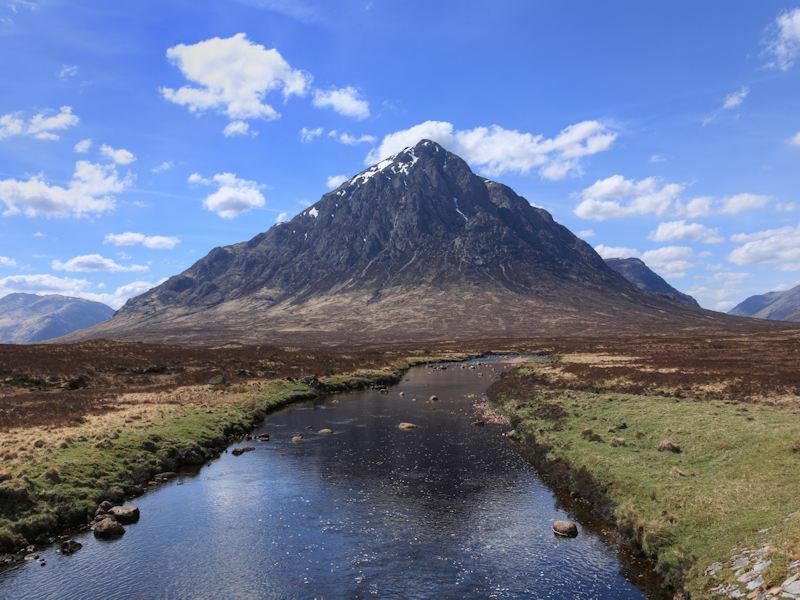 Glencoe, another area of scenic beauty, popular with walkers, climbers and skiiers is a short drive from Fort William. 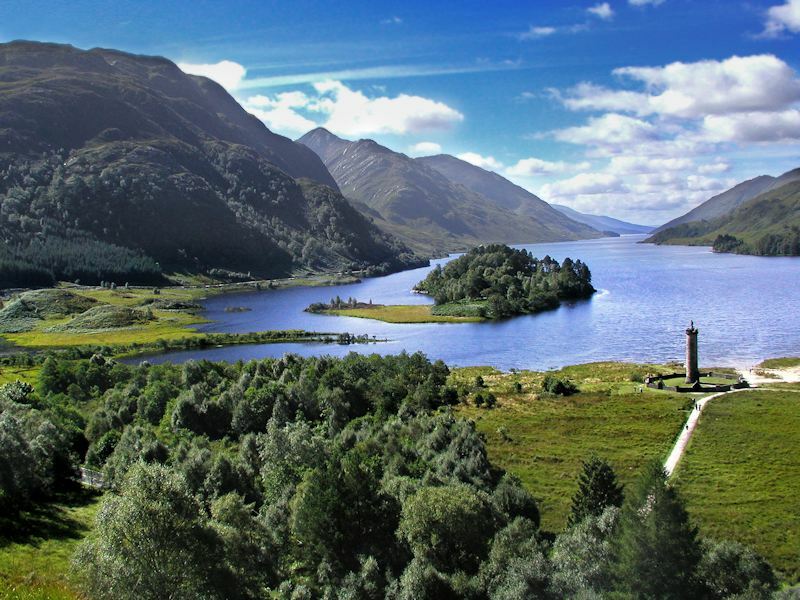 Only 25 minutes along the Road to the Isles is the Glenfinnan Monument. Surrounded by hills at the head of Loch Shiel, it overlooks a wonderful sea inlet with local boat trips. The National Trust Visitor Centre here features the story of Bonnie Prince Charlie and the Jacobite Rebellion. The picturesque station has a railway museum. 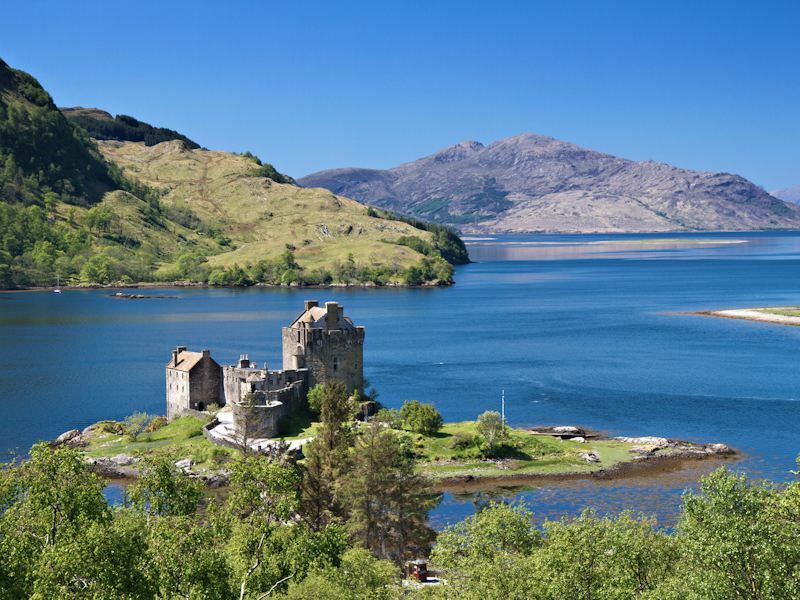 Eilean Donan Castle is less than 70 miles away on the road to Skye. There are also plenty of events throughout the year including the Fort William Mountain Festival (February), Lochaber Marathon (April), Scottish Six Day Motorcycle Trials (May), UCI Mountain Bike World Cup (June), Road to the Isles Agricultural Show (June), Glengarry Highland Games (July), Fort William Marathon (July), Arisaig Highland Games (July), Mallaig & Morar Highland Games (August), Glenfinnan Highland Gathering (August), Lochaber Agricultural Show (August), Ben Nevis Race (September), Glencoe Marathon (September), and World Solo 24 Hour Mountain Bike Championships (October).